Figure 2. 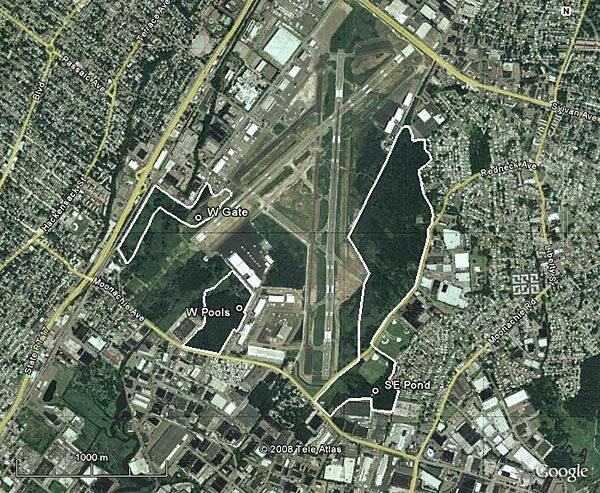 Map of Teterboro Airport study area in the Hackensack Meadowlands, New Jersey. White polygons delimit suitable habitat surveyed for calling frogs. Points indicate locations where frogs were heard.